Whether you’ll be trekking the Inca Trail or hiking through the foothills of the Himalayas, it’s imperative you find the right travel insurance for your backpacking trip. Because you’ll be carrying lots of equipment on a regular basis, it makes sense to choose a policy that offers a good level of coverage for both you and your belongings while you’re travelling abroad. Which is where we come in. Cover-More UK offers a range of plans to meet your needs, giving you the peace of mind to get on with globetrotting. So, before packing your rucksack and heading to the airport, take some time to compare our travel insurance for backpackers and pick the best policy for you. What’s covered with our backpacker travel insurance? 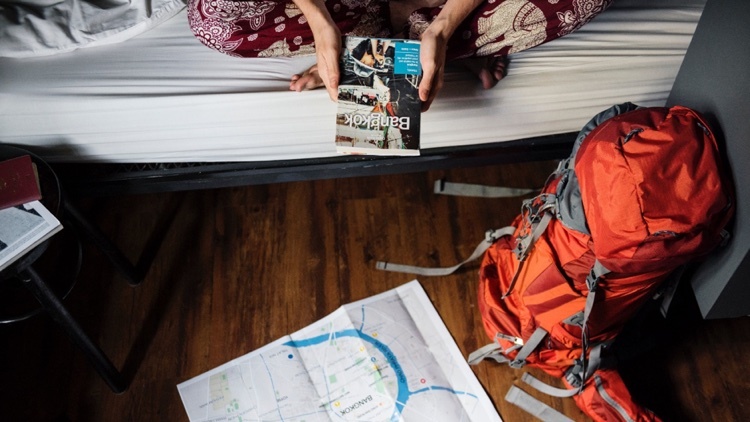 We’re proud to offer coverage that’s ideal for backpackers, and since backpacking comes with its own unique set of challenges, we’ve pulled out all the stops. Each policy we offer covers necessary medical and/or dental expenses as well as disruptions to your trip. There’s also 24/7 emergency assistance available if you find yourself in unexpected difficulty and don’t know where to turn. For further details about our policies, check out the Cover-More UK travel insurance guide. It’s even possible to get a full refund if you cancel your policy within 14 days of its start date. Of course, this only applies if you haven’t already made a claim or started your trip. How much does backpacker insurance cost? We’re glad you asked. Cover-More UK believes in providing its customers with competitive policies that cover every eventuality. The Diamond Plan, as its name suggests, gives you our most complete level of cover. However, if you’re looking for something a bit more budget-friendly, our Economy Plan is your best bet. Whichever policy you choose, you can relax in the knowledge that we’ve taken care of the necessities. All that’s left is to decide where you’re going to go first. You’ll then see a detailed summary of our policies and prices*. Couldn’t get much easier than that, huh? * Based on the details you’ve entered.